Cocoa is a delicate, sensitive plant. Farmers must protect trees from wind and sun, fertilize the soil, and watch for signs of disease or distress. 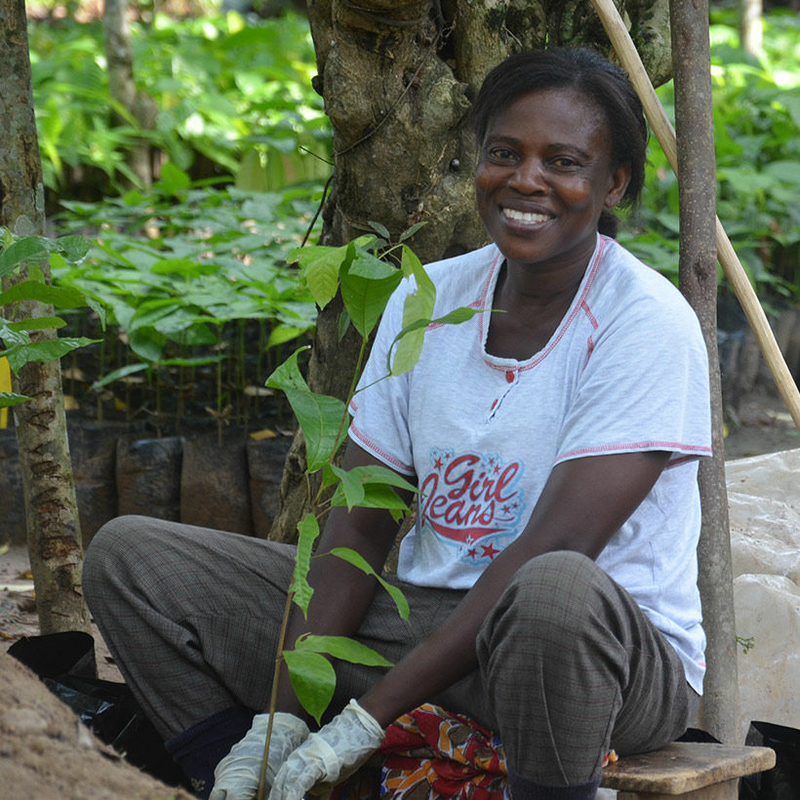 With proper care, most cocoa trees yield pods by the fourth or fifth year and can continue for another 30 years. 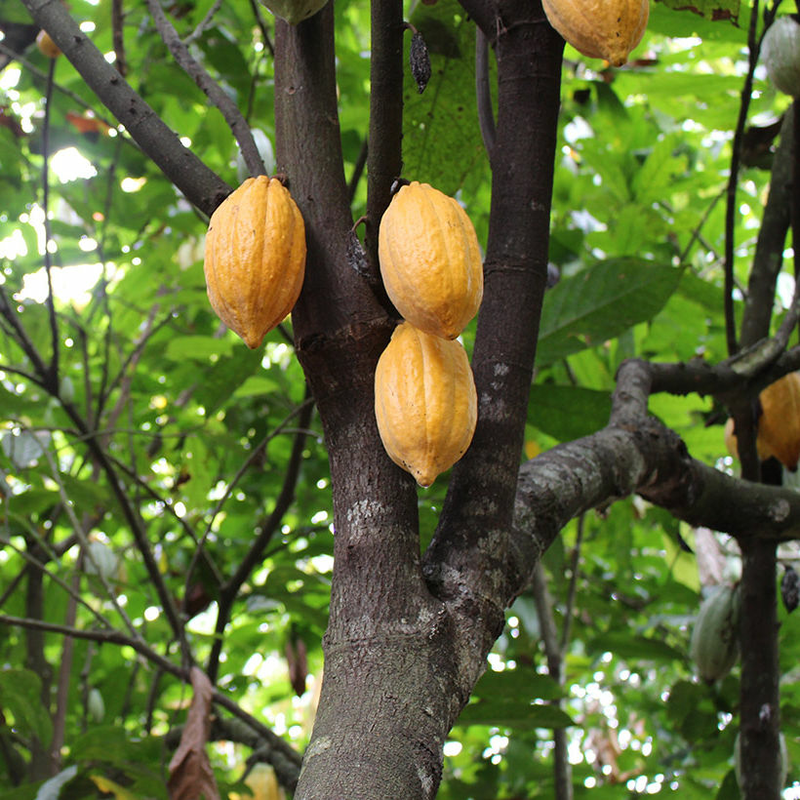 A typical pod contains 30 to 40 beans and there are about 30 pods per tree; approximately 400 dried beans are required to make one pound of cocoa. Most countries have two periods of peak production per year: A main harvest, and a smaller harvest. Cocoa farmers use long-handled steel tools to reach the pods and cut them without wounding the soft bark of the tree. Farmers collect the pods in baskets. Post-harvest processing has the biggest impact on cocoa quality and, consequently, on cocoa taste. The farmer removes the beans from the pods, packs them into boxes or heaps them into piles, then covers them with mats or banana leaves for three to seven days. The layer of pulp that naturally surrounds the beans heats up and ferments the beans, which enhances the cocoa flavor. 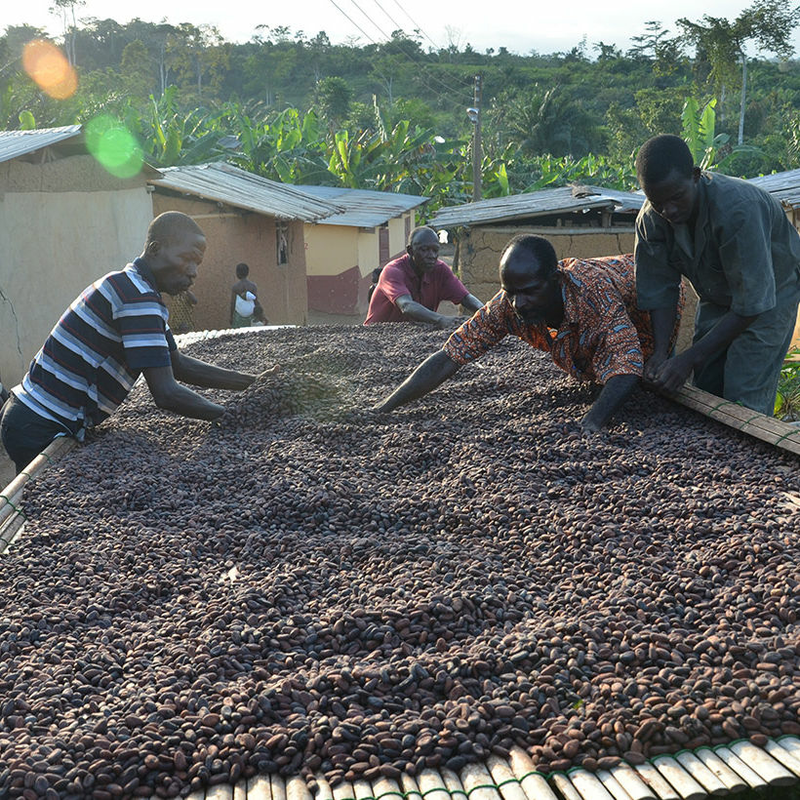 The beans are then dried in the sun for several days. 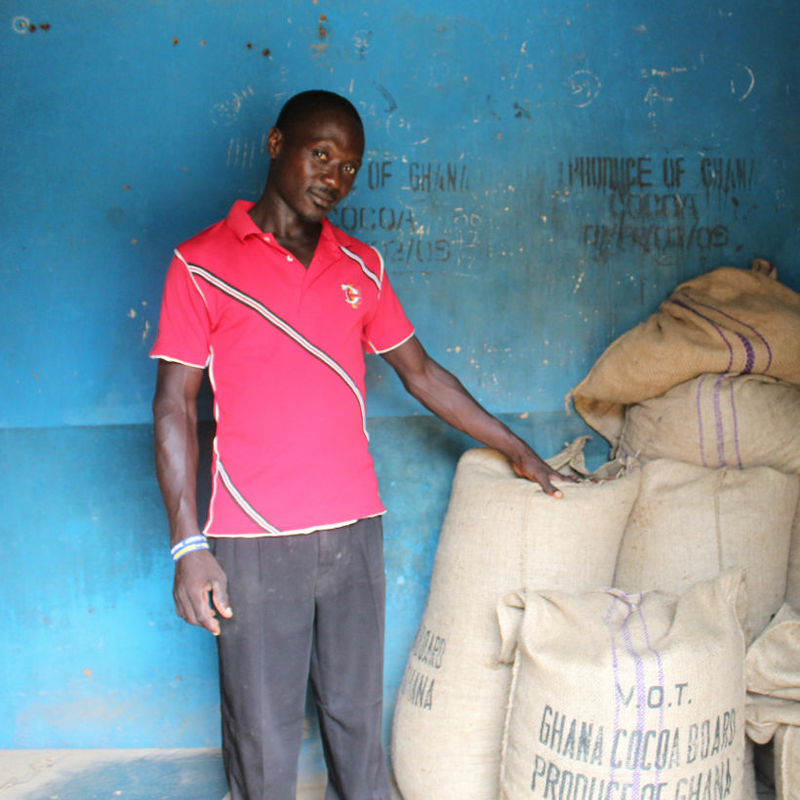 The dried beans are packed into sacks, and the farmer sells his product to a buying station. The buyer transports the sacks to an exporting company where the sacks are inspected, put into burlap, sisal, or plastic bags, and transported to the exporter's warehouse, where the beans are stored until they're shipped to a manufacturer.